Tina Mba has been in two recent hit Nollywood movies, Isoken and Okafor’s Law. And in both of them she really outshone almost everyone else, even when she wasn’t lead. There is something about the energy she brings into her roles – always warm, always engaging. 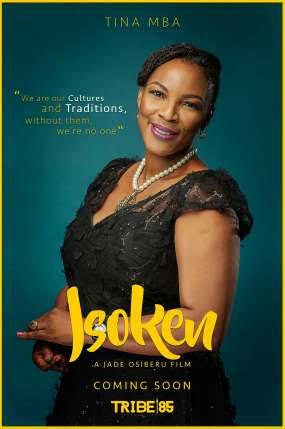 And we particularly love the way she integrates Nigerian languages and mannerism into her craft. We also remember her star turn in ‘Tango with Me’ where she also stole the scenes from Genevieve Nnaji and Joseph Benjamin, and we wonder how come she doesn’t get the praise she most certainly deserves for these roles that she plays, and how effective she is as an actress. She disappears into the role so effectively that she is forgotten. And instead we pay attention to the rest of the flash and the dash. It’s almost as if she suffers for being too good. For being much better than plenty of the rest. We need to begin to play close attention to this tour de force. Nollywood needs that kind of formidable talent, front and center, every other day.